Some 24.000 plug-ins were sold last month, which represents a significant 60% increase over the same month last year, if this growth margin continues until the end of the year, we could be witnessing the half a million units a year barrier broken. The top two podium places seem to be where they always were, with the Leaf on top followed by the Outlander PHEV, but the truth is that the Leaf leadership was much more disputed than usual, with only the japanese numbers allowing it to distance itself from the rest of the competition. 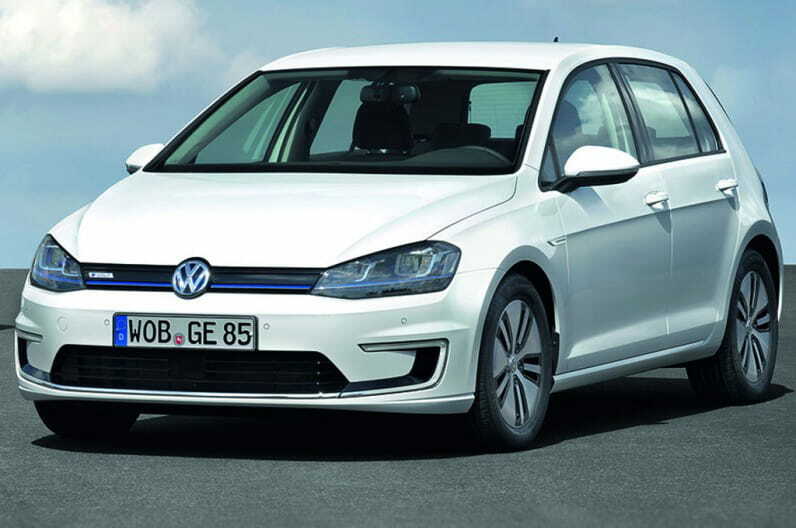 The VW Golf plug-in Twins (e-Golf and Golf GTE) surge to #6 and #7 respectively, with the first winning the edge thanks to the US-registered units (When will the GTE arrive to America? Is VW afraid that it would be trounced by the 2nd Gen Volt? ), confirms the new trend of Volkswagen getting in the game for real, while the #9 Renault Zoe continues to impress, starting where it left off last year. As for the Prius Plug-In and Chevy Volt, the downward trend of last year continues for them, both screaming replacement! as they see their 2013 positions (#2 for the Volt and #3 for the Prius) more and more from a far. As in the models ranking, if the top two positions seemed like a certainty, both Nissan and Mitsu had to use their domestic registrations to remove Volkswagen from the leadership, in what would be an even more shocking news, but the fact that the german manufacturer surged from #11 to #3 in what is usually a stable ranking is something to take notice. In #4 we have another threat to the top two, BYD continues its never-ending sales-record streak, delivering 2.334 units in one month, dropping Tesla to #5, the California-based brand needs the Model X urgently, as the competition starts to diversify their lineup (Mitsu, VW, BYD, Renault, Ford and Chery have three or more models on sale), BMW and Renault remain stable, while Ford, Toyota and Chevrolet drop several positions in the ranking, with the first down three positions to #8, the second drops four positions to #10...And Chevrolet dives seven(!) positions, from #4 to #11. Yep, for the first time ever, Chevy is out of the Top 10 ranking. We can see Japan leadership slowly eroding, while China and, most impressively, Germany, become two major players on the market, while at the same time the US carmakers decline and France becomes more and more a secondary player. 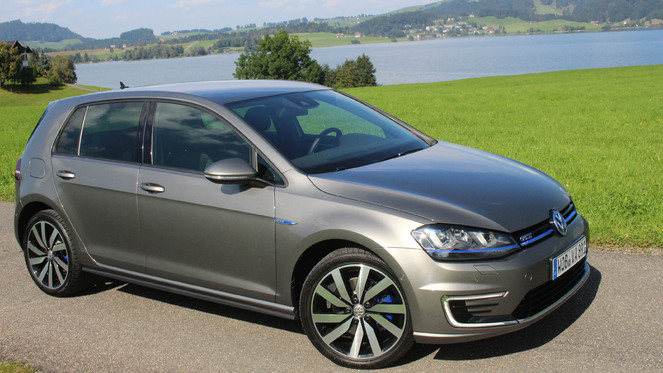 After ending 2014 with numbers a bit below of what was expected from a manufacturer like Volkswagen (It was #1 only in Norway), the german brand had a great beginning this year, leading several rankings throughout Europe, with #1's in the Netherlands (GTE), Norway (e-Golf) and Germany (GTE), and the GTE leading the Best Selling PHEV ranking in France and Switzerland. If in Norway this sudden burst in sales is explained by the addition of the Heat Pump and the fact that electric cars are already mainstream (They had 18% share last month), the Golf GTE recent success in Europe is something else, as plug-ins expansion progresses, they are starting to go beyond the early adopters niche and going into mainstream buyers, where expectations regarding cars are a bit more conservative, as they prefer established brands and models (What could be more established than the Best Selling car in Europe?) 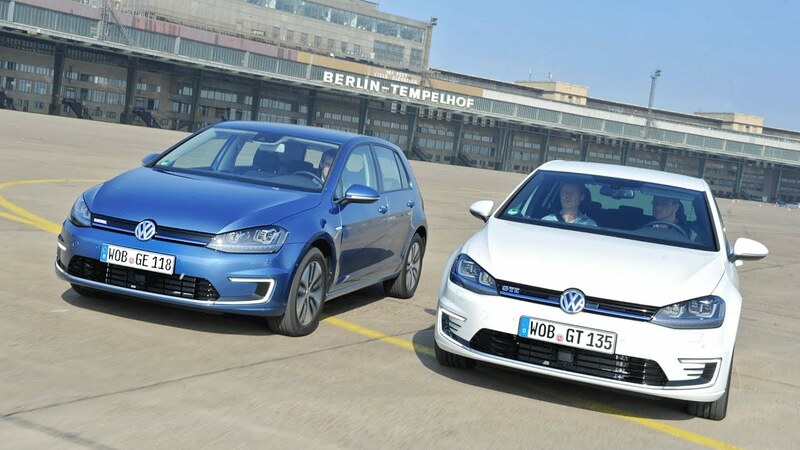 and without range issues, that's why the e-Golf failed to succeed, early adopters preferred other electric cars to a high priced everyday Golf, while at the same time it didn't appealed to mainstream consumers, as the cheaper ICE Golf had the ability to go everywhere without a sweat. Here enters the VW Golf GTE, an established car without range issues that can still go 50 kms fully electric, on top of that, it benefits from the special aura that sporty Golf's enjoy (Let's call it the GTI-Factor), and all for a decent price (+/- 37k €, VW wasn't greedy this time), making it an attractive proposition for anyone buying a car, plug-in or otherwise. Add that to the end of the Opel Ampera (Those 15.000 buyers will eventually need to replace their aging plug-ins...), disappearing what it could be it's #1 PHEV rival, and several incentives to plug-in car buyers and you have a perfect storm for the success of the GTE, it might even overcome the Outlander PHEV as the Best Seller in Europe. Another interesting proposition is the Audi A3 e-Tron, basically the same package, but with a more premium flavor, the regular A3 was #10 in the 2014 European Best Selling Cars ranking, so anything below that position in the EV ranking would be a failure for the german car, especially considering that only cars on the regular Top 10 Euro ranking have a plug-included mass-produced version (Golf, A3 and Clio-based Zoe). In the Top Markets volumes, there were a few surprises, some good (UK, Norway, Netherlands and China continue beat the best expectations), others not so good (The US and Japan demand is softening). In the models rankings the BMW i3 won its first podium seat in the US, the aforementioned the Golf GTE surprised in several markets, just like the e-Golf in Norway, a market where the Outlander PHEV scored a Third Spot, a first for a plug-in hybrid, in Germany the Kia Soul EV got a surprising #4 (And best-selling foreign car, step by step the korean car is making its way to the top). 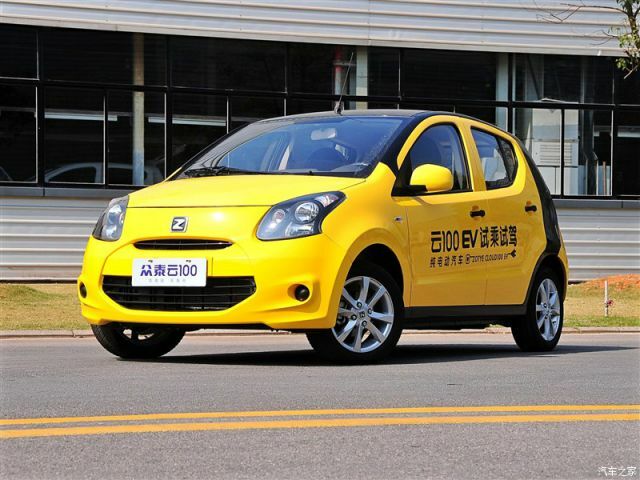 In China the cat-with-nine-lives Chery QQ EV started the year in Second, only behind the untouchable BYD Qin. Regarding EV Share, some markets gave great indications for the rest of the year, with Switzerland joining the 1% Club (1,49% vs 0,75% last year), Ireland jumping from 0,27% to 0,46%, and Hong Kong tripling the EV Share to 1,22%, making it the eighth market to reach 1% barrier, will we see this club reach 10 members by the end of the year? Probably, the UK (0,97%) and Belgium (0,78%) will probably be the next in line, but there are other candidates too (Japan, USA, France, Austria, Denmark...). Basically it's the US ranking with Canada added, the top 5 positions remain the same, with Tesla benefiting from a great month in the Northern Neighbor to reach closer to the Leaf, while the Volt also sees a small uptick in sales, thanks to the Canadian appetite for the GM car. Here things become more intriguing, with the Top Two markets (China and Japan) taking the shots and with only two models present in both (Tesla Model S and Nissan Leaf / Venucia Morning Wind), this is a mix between both markets, the big news is that unlike what many might think, the Best Selling Plug-in here is not the Nissan Leaf, but a chinese car: The BYD Qin numbers in China are so high, that they are enough to outsell the whole APAC sales of the Leaf! Also of notice is the fact that the best-selling non-asian car here is Tesla's Model S, only #10 in the ranking. Still without Austria and Portugal numbers, the European market had more than 9.500 units registrations in January, almost doubling sales regarding January '14 (5.226 units), as the first month of the year is usually one of the slowest, there are reasons to be optimistic for the rest of the year. Looking at the models ranking, we can see Volkswagen recovering for the lost time regarding plug-ins, with both the e-Golf (Thank you Norway) and the GTE (Thank you Netherlands) in podium positions, if we think that both cars are basically the same model, the Best Seller would be the VW Golf, but as both are considered different beasts (The first is a Leaf-killer, the second is a sporty PHEV) we should see them different identities, so the Best Seller for now is still the Outlander PHEV, with 1.980 units. In the Top 10, the only real changes happened to VW's: If the Golf GTE sales surged to four digits, meaning that in its first real sales month it reached #2 (Should Mitsu be worried? ), its more sedate relative, the e-Golf finally broke into the four digit league, collecting at the same time its first podium seat. Unlike its larger brothers, the e-Up! had a disappointing performance, selling only 263 units, the worst result since it landed in 2013, dropping four positions, from #6 to #10. But changes didn't stopped there, in the second half of the ranking, underlining a great month for VAG, the Audi A3 e-Tron climbed to #11 and the Porsche Cayenne to #12, with the SUV selling 237 units, a sales level never before reached by the sports-car brand (The Panamera Plug-In monthly sales record is 128 units), will it reach a Top 10 position soon? The Kia Soul EV also has been quietly ramping up sales, with the personal best score of 224 units allowing it to climb to #13. Looking at the brands ranking, Volkswagen is the surprise leader, surging to 24% share (Last year it had only 9%), followed by Mitsubishi (22%), while Nissan is Third with only 11% share. January is the slowest month in the Chinese EV Market, with sales still recovering from the December push, which is usually the best-selling month of the year, with this in mind, sales last January stood at some 5.200 units, almost half of what it was in previous month of December (10.000 units), but if we compare with January of last year, there is a 150% jump in sales, which could indicate some 145.000 units being sold this year. Looking at the models ranking, the BYD Qin continues to amaze, consistently breaking its personal best performance, month after month, it's now at 1.911 units, a result that represents a third of all plug-ins sold in China last month. In second we have the Thought Dead Chery QQ EV with a robust 552 units, with another BYD in Third, the e6 triples the sales made twelve months ago to 423 units. With the Denza making its first steps (23 units this month) and the upcoming landing of the Tang SUV, it sure looks that BYD will win another Best-Selling Manufacturer title this year. There are two Plug-In Hybrids looking to get some piece of BYD Qin's pie, the Roewe 550 PHEV is slowly climbing the ranking, while the GAC Trumphi GA5 REV (Long name, eh?) enters the radar in #9 with 145 units. A final note on Tesla performance, with only 120 sales, it was only #11 in the ranking a very unfamiliar position for the american carmaker, let's hope Tesla's new management in China gets it right. The Swiss EV market started the year in a positive note, with 274 units sold, although it helps to have a full ranking available, with the EV Share rising to a record 1.48%. In the models ranking. the Renault Zoe recovered the #1 spot, but the Golf GTE is just 1 unit behind, with the Model S also close, in Third with 30 units, so anything can happen in February. The BMW i3 started the year in Fourth. In a different angle, the VW e-Golf and Renault Zoe started the year with the wrong foot wheel, selling just 4 units each, are consumers just not into them or are their respective sales forces more interested in selling regular ICE cars? In the manufacturers ranking, BMW (24% Share) started in the lead, followed by Porsche (20%), while in Third we have Nissan, with 17% share. We now have an updated ranking with all the missing pieces now included, thanks samochodyelektryczne.org! The EV Market in Poland has started to gain some speed, after the 39 units sold in 2013, last year sales went threefold (145 registrations), with the EV Share making a small jump to 0,039%, which is still a low figure, but the year before the number stood at only 0,01%. Looking at the models ranking, the BMW i3 (42 units) made it to #1, outselling the Mitsu Outlander PHEV (31 registrations), but the japanese SUV will a more threatening presence in 2015, its first full year of sales. The previous leader, the Nissan Leaf rounded up the podium, ending in Third, with 19 units, a four units increase regarding last year. Just as a measure of how crowded and much the Polish market has become, the Tesla Model S ended in #6 this year, losing three positions regarding 2013, although it has doubled the sales from one year to the other. Looking at the Manufacturers ranking, BMW gobbled 37% of the market, leaving 31% for Mitsubishi and 13% for Nissan. The Irish Auto market is highly seasonal, with January sales representing a peak, followed by several months of low numbers, the EV Market niche follows the trend, with a record-shattering 137 units sold, the first time that this market reaches the three digits in one month, with the EV Share rising to a record 0.45%, which reinforces the growth path started last year (0.27% Share vs 0.08% in '13), after a Share slump in 2013 (0.08% in '13 vs 0,23% in '12), which interrupted a growth trend that had started in 2011 (0.07% in 2011 vs 0.02% in 2010). 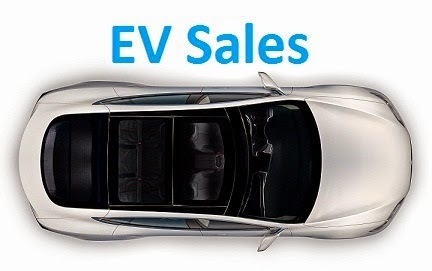 The models ranking started 2015 where 2014 left off, with 3 out of 4 EV's sold being Nissan Leafs, Best Seller in Ireland since 2011 (The japanese hatch represents an impressive Two Thirds of all plug-ins sold here), while the runner-up position continues to belong to the Mitsubishi Outlander PHEV (14 units) and the #3 was for Renault Zoe (8 units). How high will it get? For the first time the French EV market had a January above the 1.000-mark, outselling the 837 units sold two years ago, which could mean that it might be on for a positive year. Looking at the models ranking, the front runners have a slight change in their the usual 1-2-3-4 distribution, the Bolloré Blue Car ending in #3, its best position in the ranking since last July, ahead of the usual Bronze medalist, the Nissan Leaf, while in #5 we have a surprising newcomer, the Volkswagen Golf GTE lands with 69 units, stealing immediately the Best-Selling Plug-In Hybrid title away from the Outlander PHEV, will this be an indication that the GTE is going to make an impact in the French Market? Looking at the manufacturers ranking, Renault is still comfortably ahead, but with 50% of the market, one has to go back to 2012 to see the french manufacturer with such small share numbers.